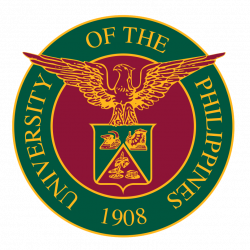 They join 17 other UP alumni on whom the award has been conferred since it was established in 1972, four of whom are still living: Virgilio Almario (Literature, 2003), Bienvenido Lumbera (Literature, 2006), Benedicto “BenCab” Reyes Cabrera (Visual Arts, 2006), and Ramon Santos (Music, 2014). The new members of the Order of National Artists coming from UP are Lauro Zarate “Larry” Alcala (Fine Arts, UPD CFA, BFA 1950); Raymundo Cipriano Pujante “Ryan” Cayabyab (Music, UPD CMusic, BM 1983); Eric Oteyza “Kidlat Tahimik” de Guia (Film, UPD CLA, AB 1963); Amelia Lirag “Amel” Lapeña-Bonifacio (Theater, UPD CLA, AB 1953); and Resil B. Mojares (Literature, UPD CAS, PhD 1979). Also named National Artists were Ramon L. Muzones (Literature, FEU/CPU LlB1952, d. 1992) and Francisco T. Mañosa (Architecture, UST, BS 1953). A native of Daraga, Albay, the well-loved cartoonist, publisher, and UP Fine Arts professor was known for his comics Siopawman, A Slice of Life, Mang Ambo, and Kalabog en Bosyo. His first work appeared in the weekly magazine Liwayway and his unique Taglish style of communicating eventually found its way to commercial campaign advertisements for products ranging from milk to gasoline to t-shirts and even cans of beer. His skill in the art of illustration and cartooning paved the way for the creation of the UP College of Fine Arts’ Visual Communication Department, which he chaired in the late 1970s. He saw that cartoons played a pivotal role in education and values formation. His 50-year career generated over “500 characters, 20 comic strips, six movies, two murals, and over 15,000 published pages,” according to his official website. His art illustrated the “snippets of the Filipino way of life” and “captured the idiosyncrasies of the Filipino psyche” which he preserved through humor for generations to come. He served as art director, editorial cartoonist, illustrator, and consultant for various publications, TV shows, and movies. He also headed art associations and received awards from UP Alumni Association, the Mayor of the City of Manila, mass media organizations, and government agencies. He died in 2002. After finishing his degree in Music, this icon of Pinoy pop better known as “Mr. C” taught music composition and music theory for almost twenty years at the UP College of Music. He went on to direct the San Miguel Foundation for the Performing Arts after being the only Asian to win in the Onassis International Cultural Competition in Greece in 2001. His body of work includes modern and popular music spanning theater musicals, choral pieces, commercial recordings, film and television musical scores, short symphonic works, and full-length ballets. His most popular hits include Kay Ganda ng Ating Musika, Nais Ko, Mamang Kutsero, Iduyan Mo, Paraisong Parisukat, and Da Coconut Nut. Ryan’s legacy started with founding the Ryan Cayabyab Singers, a group of seven singers in the 1990s. This continued with the establishment of the Philpop Music Fest Foundation, Inc. which hosts and the famous music festival recognizing amateur musical talent and songwriting. Ryan Cayabyab has garnered countless awards from the Cultural Center of the Philippines, Awit Awards, UP Alumni Association, and the Ten Outstanding Young Men of the Philippines. He runs the Music School of Ryan Cayabyab with his wife Emmy. The Baguio-born filmmaker first stumbled upon a 16mm Bolex in Germany while working as an economist in France, holding an MBA from the Wharton School of the University of Pennsylvania. He introduced another Filipino film legend, Lino Brocka, to small-stake investors while the latter was working on Tinimbang Ka Ngunit Kulang (1974). While his contemporaries Lino Brocka, Ishmael Bernal, and Mike de Leon were establishing themselves back home in mainstream cinema, Kidlat Tahimik debuted Perfumed Nightmare (1977), featuring a cab driver with his namesake chasing “progress” in the US and Europe and leaving his hometown behind. The film won three prizes at the Berlin Film Festival. What followed were three more award-winning films: Memories of Overdevelopment (1980), Who Invented the Yoyo? (1981), and Turumba (1983). He resettled in Baguio with his family after the production of these films. Why Is Yellow the Middle of the Rainbow (shot in 1983, finished in 1994) responded to the environment of political violence and exhibited Kidlat’s “kapa-kapa” and “Bathala na” style of filmmaking. His film Balikbayan #1 (2015) was the completed version of his 1980 film which won the Calgari Prize at the Berlin Film Festival. Known to many as Tita Amel, Lapeña-Bonifacio is a celebrated Filipina author, educator, and puppeteer. She specialized in Japanese traditional theater, Southeast Asian traditional theater, as well as international children’s theater where she utilized Japanese Bunraku and Indonesian wayang (shadow puppets) to depict Asian folklore and Filipino mythology and make them appeal to her young audience. She later founded Teatrong Mulat ng Pilipinas which housed her award-winning plays while on a Fulbright Grant for MA in Theatre. The Teatrong Mulat performed locally on tour and abroad in Japan, Russia, Malaysia, Thailand, and Indonesia. The theater also featured themes surrounding religion and history, whose shows were instrumental to easing children’s trauma following the eruption of Mt. Pinatubo in the early 1990s. The 100-seater theater in UP Village next to the UP Diliman campus was repurposed and reopened in 2006 as the Amelia Lapeña-Bonifacio Teatro Papet Museo and is currently managed by Tita Amel’s daughter Amihan Bonifacio-Ramolete and her grandchildren. She is a University Professor at UP, and is an adviser on the board of the UP Institute of Creative Writing, which she headed back when it was still the UP Creative Writing Center. A scholar of the first order, Dr. Resil Mojares’ work in literary criticism, local and national history, urban and rural history, and political biography has earned him National Book Awards from the Manila Critics Circle. The writer, critic, and cultural researcher also received recognition from the Free Press and Carlos Palanca Awards, the UP Creative Writing Center, as well as Ford, Toyota, and Rockefeller Foundations, the Fulbright Program, and the Social Science Research Council in New York. He was also awarded the Grant Goodman Prize for History from the Association of Asian Studies and the Fok Ying Tung Southeast Asia Prize. After teaching stints as a Visiting Professor at the University of Wisconsin, University of Hawaii, University of Michigan, Kyoto University, University of California, Los Angeles, and the National University of Singapore, Dr. Mojares taught literature and history at the University of San Carlos in Cebu as Professor Emeritus. At USC, he was director of the Cebuano Studies Center and the San Carlos Publications. Today he serves as General Editor for the biographies of the Ramon Magsaysay awardees.